The City of Tartu recognises its pre-eminent and respected local residents for their life’s work in Tartu, citizens whose outstanding achievements have bestowed honour and fame on Tartu as well as its youngest citizens who have only just been welcomed to the world in Tartu. The City Government awards decorations and certificates of honour, plants oaks, installs engraved park benches and hands out silver spoons. The title of Honorary Citizen together with the Tartu Suurtäht and Tartu Täht decorations are awarded once a year based on a decision of Tartu City Council. The city recognises its citizens with the title of Honorary Citizen (which includes the Tartu Suurtäht decoration), the Tartu Täht decoration, the Medal of Tartu, a certificate of honour and a letter of appreciation. Titles and decorations are awarded during annual formal ceremonies held on 23 February, before Estonian Independence Day, at the Vanemuine Concert Hall. Medals of Tartu are awarded on Tartu City Day on 29 June or during other formal events. Citizens of Tartu are also included in the process of deciding on the recipients of the title of Honorary Citizen and the Tartu Täht decoration, as they have the opportunity to nominate people for these honourable awards. 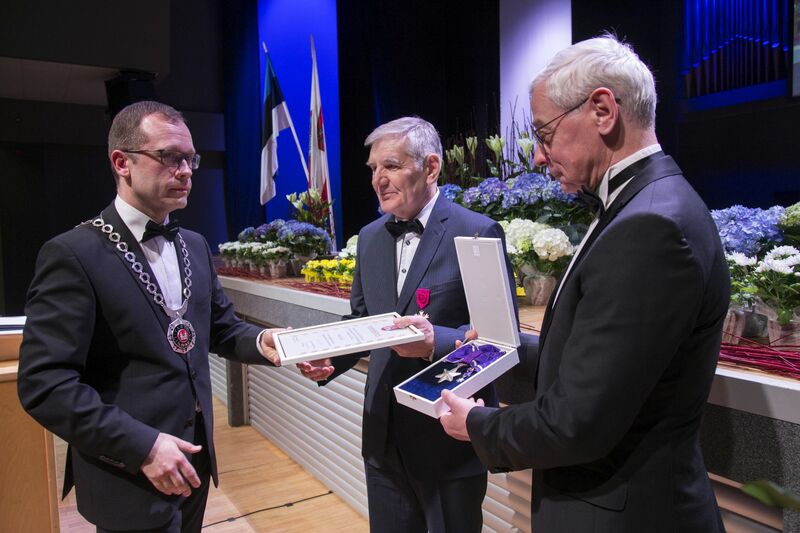 Konstantin Päts, the first President of Estonia, and Jaan Tõnisson, a former State Elder and Prime Minister of Estonia and a one-time publisher and editor-in-chief of the daily newspaper Postimees, are also honorary citizens of Tartu. Several foreigners have also been awarded the Tartu Täht decoration and the Medal of Tartu in recognition of their services to the city and outstanding achievements. The names of those who have been recognised by the City of Tartu can be found in this database (in Estonian). Tartu Oak Grove is located on Lammi Street just outside the Ihaste district. 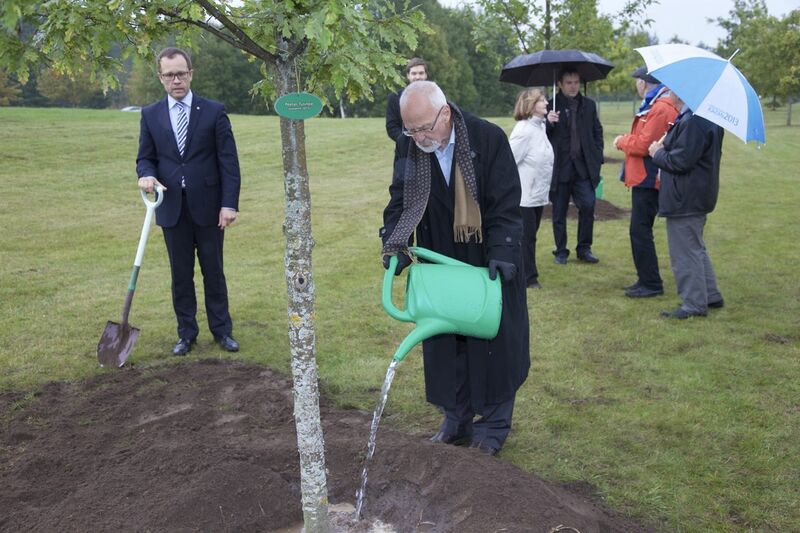 On 14 September 2007, the mayors and honorary citizens of Tartu, the Estonian Minister of the Environment and representatives of Tampere, the Finnish sister city of Tartu, planted the first trees in the Oak Grove. Altogether 36 oaks were planted. The idea of establishing the grove originates from the former Mayor of Tartu Laine Jänes (now Laine Randjärv). Subsequently, new honorary citizens and mayors of Tartu as well as Tartu’s sister cities and universities have all planted oaks in their name in the grove. As a general rule, formal oak-planting events take place every other year in autumn. Since 2005, the Mayor of Tartu has given commemorative silver spoons featuring the coat of arms of Tartu to all newborn citizens of Tartu. The spoons are presented during special receptions held in the assembly room of Tartu City Hall. These receptions take place once a month for children who are 6-7 months old. 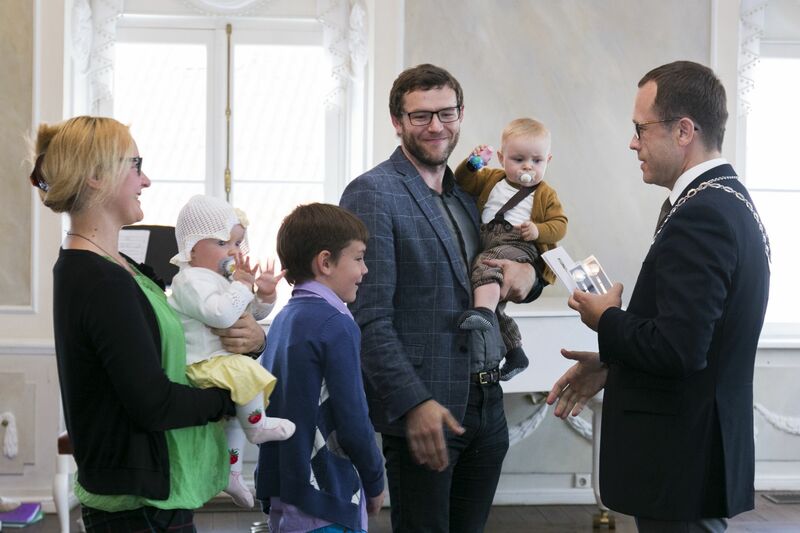 The spoons are presented to children whose place of residence according to the Estonian population register is listed as Tartu within six months of their birth. Spoons are presented by the Mayor of Tartu. Park benches equipped with an engraved name plate allow all citizens of and organisations and businesses in Tartu to commemorate exemplary residents of the city. All interested parties are able to name a bench in Peeter Põld Park in front of the Ministry of Education and Research after someone they wish to recognise, honour or remember. There is room for up to 15 benches in the park. Once the first 15 benches have been named, the city plans to expand the project of engraved benches to cover other attractive areas. The first bench with an engraved name plate was installed in the park on Tartu City Day on 29 June 2015. 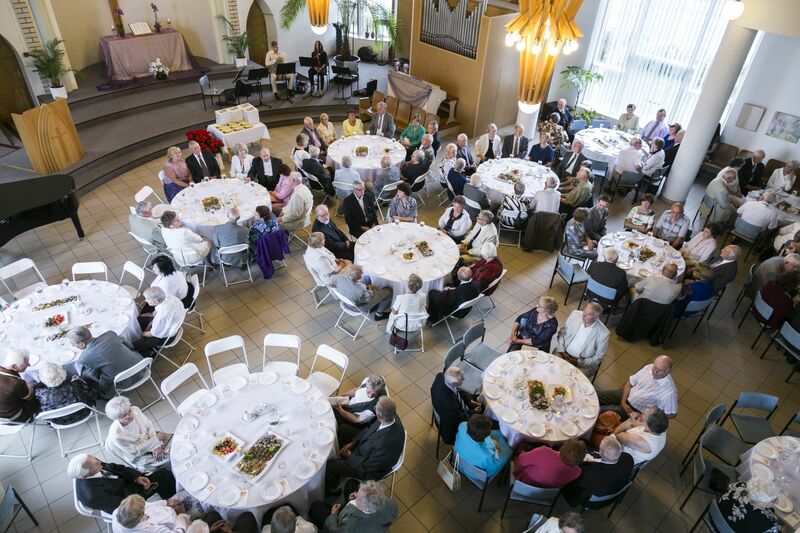 The award ceremony for couples celebrating their golden wedding anniversary is traditionally held on Tartu City Day on 29 June at Salem Baptist Church. It has become a lovely and heartfelt tradition whereby the City of Tartu thanks those whose 50 years of marriage sets an example to all families. Invitations are sent to couples who live in Tartu according to the Estonian population register and who celebrate their 50th year of marriage that year. The Mayor of Tartu congratulates the golden couples and presents them with flowers, a greeting card and a book. The commemorative ceremony ends with a buffet. Since 1998, Tartu City Government together with the daily newspaper Postimees and all residents of Tartu holds a competition to determine which event from the previous year deserves to be declared Deed of the Year. 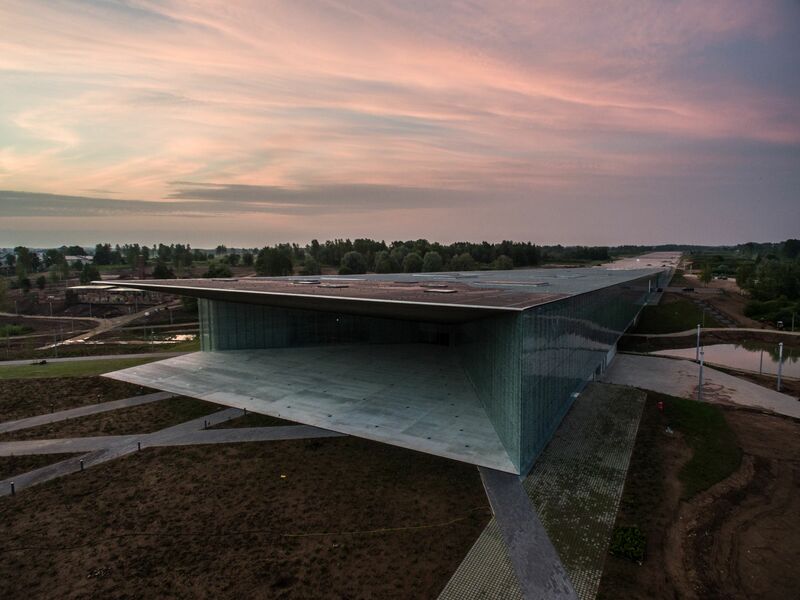 This may be awarded to any undertaking that has been deemed important to the city of Tartu or its citizens. The City Government recognises those behind the winning and most frequently mentioned deed of the year with a letter of appreciation, motivating them to continue being active and showing how much Tartu values their contribution.